We offer a Torque Calibration Service for all makes and models of Torque Equipment to ensure that your device is generating accurate measurements every time you use it. 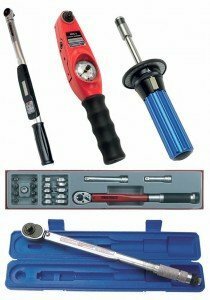 Our calibration service includes the calibration of torque screwdrivers and wrenches up to 240 Nm. Our qualified technicians, working in our in-house laboratory, will ensure that all of your Torque Equipment is displaying results in accordance with manufacturer specifications and they will make adjustments where necessary to calibrate your specific device. To ensure that an accurate measurement of the output of your torque wrench, our experienced technicians take three readings for every test performed.